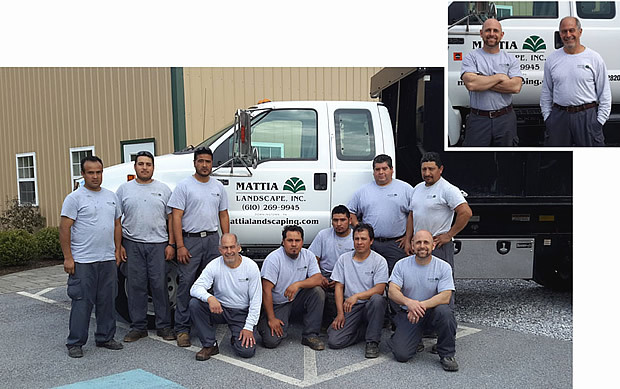 Mattia Landscaping, Inc. has been in the landscape and hardscape business for over 30 years, serving West Chester, Downingtown, Malvern, Exton and all Main Line areas from our headquarters in Downingtown, PA. We are members of NALP and hold certifications with EP Henry, Techo-Bloc, ICPI and NCMA. We take pride in our quality workmanship, unique designs and professionalism. A professionally designed landscape/hardscape can transform your yard into a usable, beautiful, outdoor living space. We treat each design and installation individually so that it meets personal preferences and budgets. The ever-present deer population in Chester County, PA provides a unique challenge when selecting plant material for your landscape design. Our designer will customize a plan to enhance your home, while utilizing plants and shrubs that will be sustainable in Chester County’s environment. We will tailor your design to maximize contrast and color and provide year-round interest, while keeping maintenance low. Landscape design contributes dramatically to a home’s appearance. When done well, the creates a setting for the home that compliments and enhances the architecture. Our designers have been transforming landscapes throughout Chester County for over 30 years and will guide you through the process of realizing your home’s potential. We can help you extend your living space by creating outdoor entertaining areas for you and your family to enjoy. Just as there are unlimited ways to decorate the interior of your home, there are many ways you could enhance the exterior areas of your home. Our designer will listen to your wants and needs, make suggestions, provide samples of materials and guide you through the landscape design process. Whether its building with natural stone or manufactured materials, Mattia Landscaping can provide a professional installation that will enhance the beauty of your landscape. We are always happy to show you projects we have completed throughout Chester County, PA so that you can get a visual idea of what your completed landscape could look like. We install creative lighting designs which not only enhance the nighttime appearance of your home and landscaping, but also provide the perfect amount of light to make your outdoor living space usable and functional after sunset. 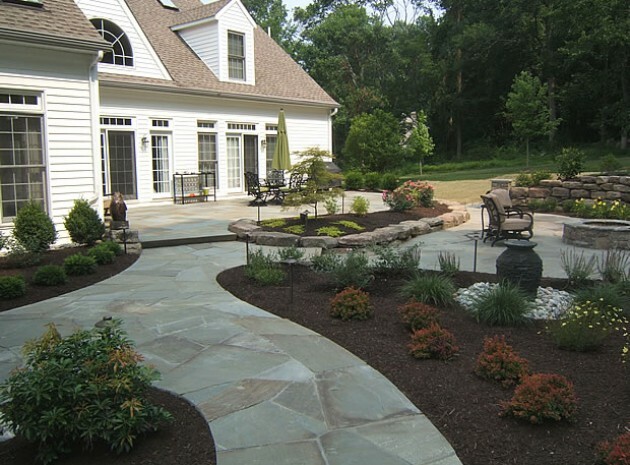 We offer full-service landscape and hardscape design and installation throughout Chester County and the Main Line. 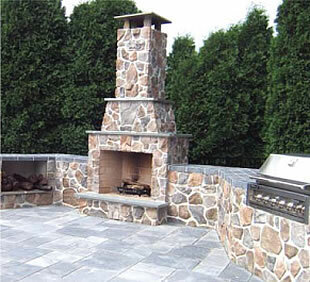 We specialize in custom hardscaping, including masonry work, outdoor fireplaces, outdoor kitchens, patios, walkways, retaining walls and pool decks. We can complete your outdoor project with a professionally designed and installed landscape plan. At Mattia Landscaping, we are a professional, experienced team who stands behind their work. We offer competitive prices and unmatched project continuity from design and installation to maintenance. Our services are diverse, from mulching and bed maintenance contracts to commercial lawn care. Learn more about our residential and commercial property maintenance services. 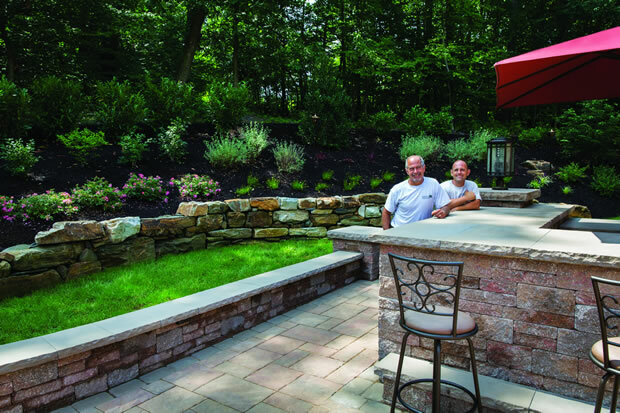 John Mattia grew up in West Chester and started by working in the landscape business with his cousin in the Main Line area of Chester County and gradually grew into his own business in 1984. 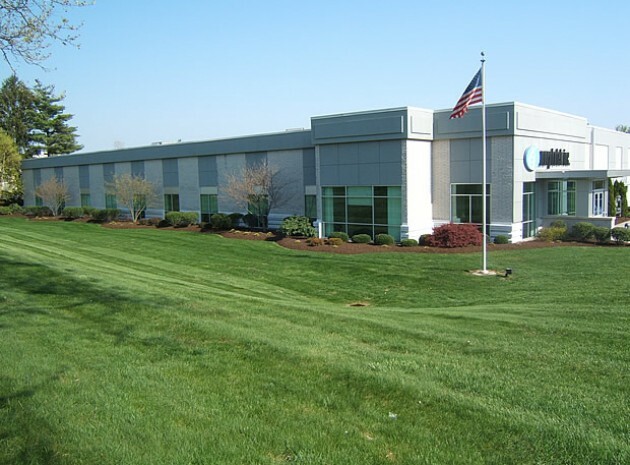 Through education and training he has grown his Downingtown business and bas been providing quality designs and workmanship, professionalism and dependability for over 30 years. Steve Mattia, our superintendent, started with the company by working every summer while in high school and college. He has been with the company for over 20 years. Steve does designing, as well as managing our job sites and work crews. Our mission is to transform your outdoor space into a unique living area by creating private places for relaxing and entertaining and providing your family and friends a place to enjoy the outdoors. Both John Mattia and Steve Mattia hold certifications from ICPI, NCMA, E.P. Henry and Techo-Bloc. Mattia Landscaping is a member of the National Association of Landscape Professionals and we are continually attending educational and installation seminars to advance our knowledge of current products and installation techniques. 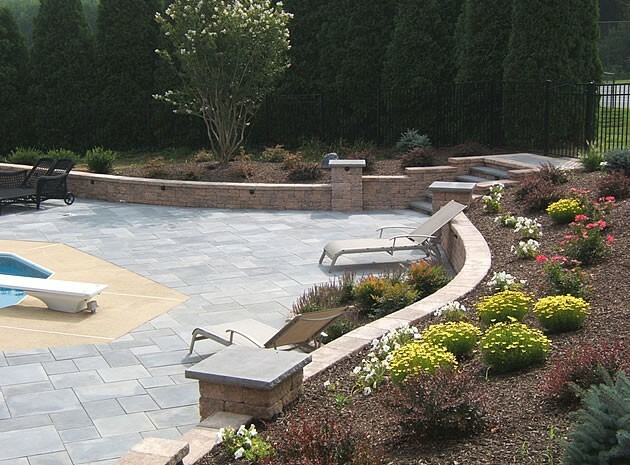 Mattia Landscaping is distinguished for superior settings that breathe with beauty. The Pennsylvania Landscape and Nursery Association member, certified by EP Henry, Techo-Bloc, and ICPI (Interlocking Concrete Pavement Institute), is a master of makeovers. 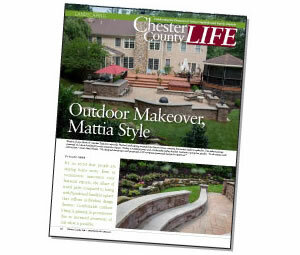 Click to view the entire article, as seen in Chester County Life Magazine.